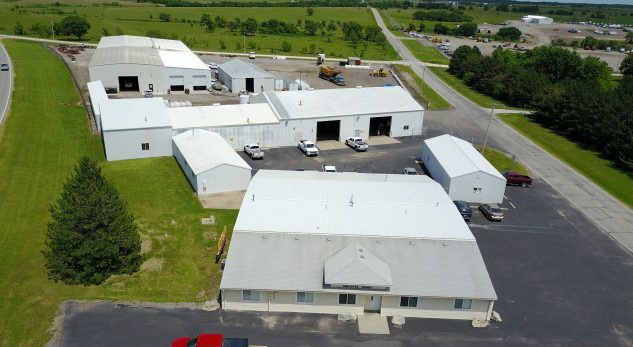 Dustrol Inc., a Milling and Hot-In-Place Recycling contractor in Towanda, KS, is a 100% employee-owned company providing asphalt recycling and related highway maintenance services throughout the Midwest from Canada to Mexico. Founded in El Dorado, KS by Ted & Barbara Dankert in 1973, we started selling emulsions for sealing asphalts and controlling dust. Two years later, we began using rented equipment to recycle asphalt to provide complementary services for asphalt pavement maintenance operations. In 1979, we purchased our first cold milling machine and started focusing exclusively on asphalt recycling and resurfacing. Since then, we’ve grown organically and through acquisition into a leading independent provider of asphalt recycling and related highway maintenance services. By 1980, our services reach stretched to include Texas, Oklahoma and Missouri. In 1985, our first satellite office was opened in Roanoke, Texas (near Fort Worth) to support the growing operational effort in that region. We expanded our sales territory during the early 90s by opening a facility in Colorado Springs and acquired two competitors to provide immediate footprints in New Mexico and Nebraska. Recently, we’ve focused on building our presence in surrounding states. In July of 1997, Ted and Barbara established the Dustrol, Inc. ESOP plan by selling a percentage of their stock to the company. In March of 2006, they sold their remaining shares, along with shareholders Tim Murphy and Brian Hansen, to make Dustrol, Inc. a 100% company owned ESOP. An Employee Stock Ownership Plan provides employees a retirement benefit through acquiring company shares of stock. ESOP shares of stock are awarded annually by the ESOP trust to each qualifying employee’s account. ESOP shares are subject to vesting requirements and are held in the ESOP trust account until the employee retires, or leaves the company. An ESOP provides employees with an opportunity to share in the success of the company and contribute to the success of their retirement plan.